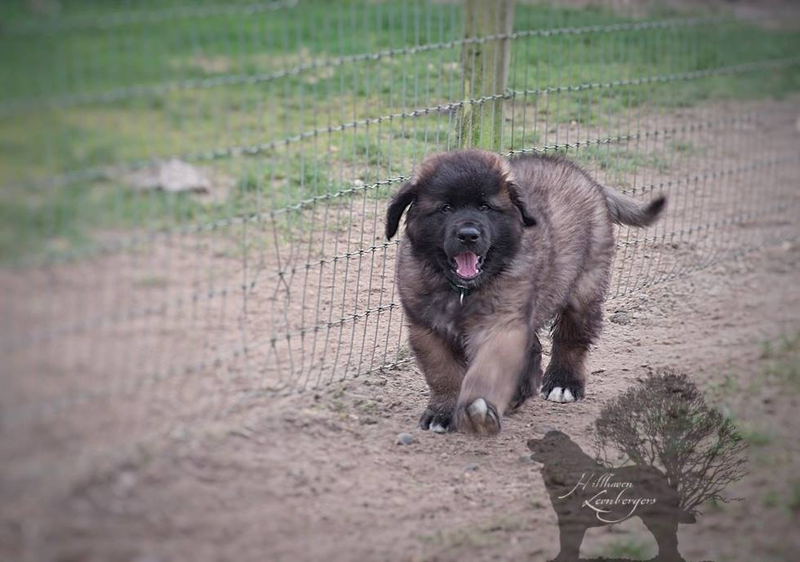 A lovely photo of Bran , litter brother to Asha which we were sent this month . 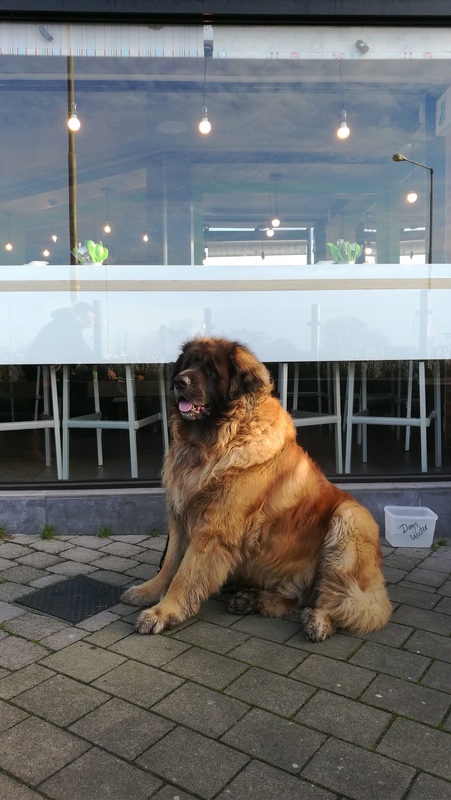 Bran is a huge boy with a real soft teddy bear nature . We also got some lovely photos of one of our Leos now 8 years old and doing really well . Thanks and we really appreciate seeing them . We also had the sad loss of two lovely Leos Nasir and Dexter who both passed on at 9 years of age and we thank their owners for caring for them so well and being such wonderful homes . We know they will be much missed . Our lovely puppies have headed off to their new homes , with one to travel in a few weeks time . Very happy families and we look forward to watching them grow up . 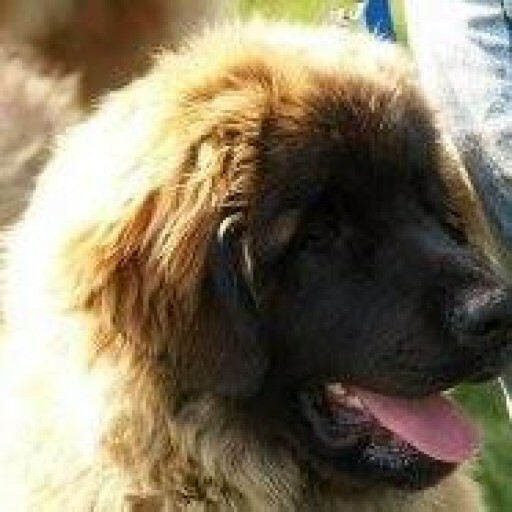 Kobo has gone to live with his daddy , and is already well settled in with the other Leos . 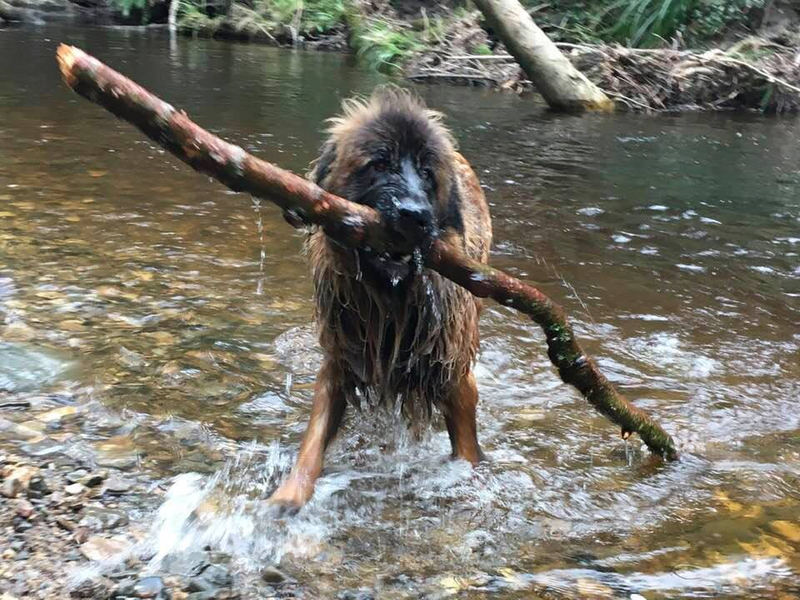 Meanwhile Ralfie has been having fun ….Big dog …Big stick needed !